Please call with questions on our poly patio furniture. 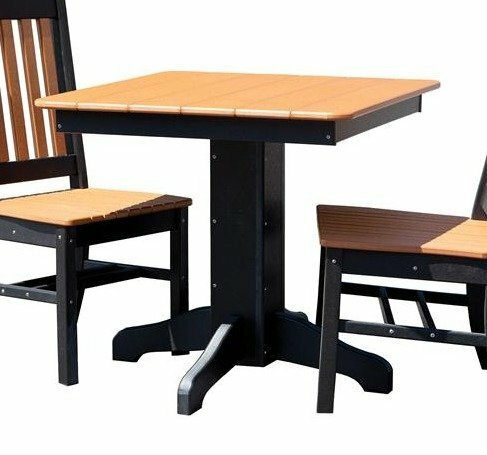 This Poly Square Patio Table is available in a 33" square or a 44" square. You also can select from a wide variety of poly colors such as white, green, burgundy and fun tropical colors such as lemon yellow, lilac and Aruba blue! The poly table shown in the photo is the 33" square with our stately Amish Poly Sunnyside Dining Chairs.